Sysmex XE 5000 Automated Hematology Analyzer for Clinical Diagnostic Use . New Life Scientific, Inc. 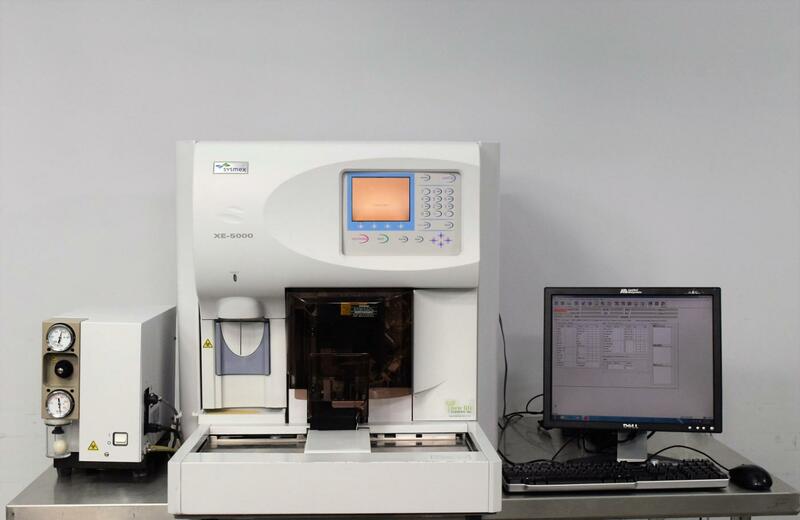 This Sysmex XE 5000 is a tested and functional hematological analysis instrument designed to streamline the diagnostic processes of a medium to high-throughput laboratory. that the XE 5000 will scale to meet the demands on your lab. in order to be deemed fully functional. minor spills, this machine is one of the cleanest units we’ve seen yet. our tech closed a hose. This XE 5000 requires a more knowledgeable individual in order to reach full functionality. contact Sysmex for professional installation. Note: Hoses/tubing, reagents, and manual(s) not included.